Let’s take a second to revisit 2007, shall we? It was a simpler time eleven years ago. Superhero films had yet to make the cultural impact that they have today. Yet, there were still some excellent forefathers at the time. Films like Spider-Man 2 and Batman Begins had set the stage for what a superhero film could be moving forward. Prior to its release in May 2007, Sam Raimi’s Spider-Man 3 had achieved enormous amounts of hype. This was especially the case after it was announced that one of the webslinger’s greatest rivals would finally make his way to the big screen. Of course, that character was Venom. In the original comics, the creation of Venom stems from Peter Parker/Spider-Man obtaining a new, black suit from an alien symbiote following Spider-Man’s role in the Secret Wars. The suit was debuted in 1984 but the character of Venom came in 1988 after the symbiote bonded with Eddie Brock. Created by David Michelinie and Todd McFarlane, Brock was a disgruntled journalist exposed by Spider-Man for incorrectly identifying someone as a serial killer. Venom has served as a formidable foe to Spider-Man as well as an antihero and even a companion at times. Due to his massive popularity, fans were ecstatic that he was to be included in Spider-Man 3. What we got was far from desirable though. Topher Grace, of That 70’s Show fame, was cast in the role and essentially shoehorned into a bloated mess of a film that effectively ended Raimi’s franchise. Since then, there has been constant buzz surrounding Venom either being introduced into a new Spidey franchise or getting his own solo film. Following the failure of The Amazing Spider-Man 2, that film’s separate “universe” was dissolved with Sony, the studio that owns the movie rights to both the Spider-Man and Venom characters, partnering with Marvel Studios to develop a new Spider-Man franchise within the confines of the Marvel Cinematic Universe. Despite this partnership, Sony decided to move forward with its own spin-off where Eddie Brock and the symbiote would finally get their own solo adventure. 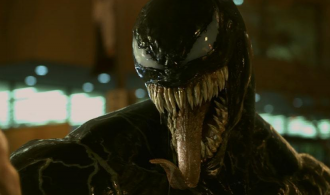 Thus, we have Ruben Fleischer’s brand new 2018 film, Venom. Oddly enough, Venom doesn’t follow the same origin story as the comics. Here, a space probe carrying four alien symbiotes crash lands in Malaysia on its way back to Earth. The Life Foundation, headed by Carlton Drake (Riz Ahmed), recovers three out of the four symbiotes and isolates them in a research facility. The missing symbiote continuously swaps bodies as it travels to find the others. Drake begins human trials with the symbiotes attaching to a host. 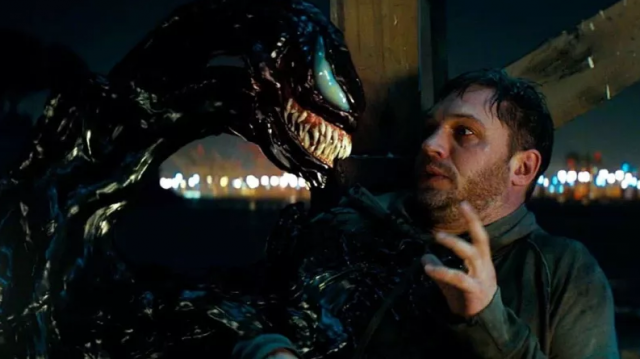 This results in a number of deaths and leads investigative journalist Eddie Brock (Tom Hardy) to question Drake about his methods during an interview. Eddie is subsequently fired from his job and manages to get his fiancee, Anne Weying (Michelle Williams), fired as well due to her being a lawyer affiliated with the Life Foundation. Six months later, Dr. Dora Skirth (Jenny Slate), one of Drake’s scientists, seeks out Eddie to bring down Drake. Eddie enters Drake’s lab and encounters a symbiote, the titular Venom, that merges with him giving him special abilities. Combined as one entity, the tandem fights off Drake’s henchmen as Drake tries to regain the Venom symbiote. That was perhaps the most difficult plot summary to ever write here on Cinema Smack. What’s funny is that the film meanders through its first hour and there’s barely any plot to follow. It mostly consists of scenes with Tom Hardy babbling to himself juxtaposed with Carlton Drake engaging in stereotypical villainy. Of course, Venom eventually does have a final battle but none of it really means anything. The plot is a bland origin story that doesn’t even faithfully recreate the character’s true origins. When it comes to the characters in Venom, they leave much to be desired. Nobody shines here and, arguably, it’s not all their fault. The screenplay itself is an absolute mess with banal dialogue and cheesy one liners littering its convoluted plot. Riz Ahmed’s Drake is a total bore-fest as a villain. Every few minutes, his character appears onscreen and elicits the same “not this again” reaction every time. Academy Award nominees Tom Hardy and Michelle Williams can’t even save the film either. Williams’ Anne dumps Eddie immediately after losing her job and is dating someone else shortly thereafter. Then both of them befriend Eddie and have a sort of tripod friendship for some reason. Hardy, whose turns as Bane in The Dark Knight Rises and Max Rockatansky in Mad Max: Fury Road are much more inspired, gives a strange performance here. He seems more like a mental patient than a superhero and it simply doesn’t work most of the time. As for the action scenes, a few descriptors come to mind in the form of dark, murky, ugly, and indescribable. 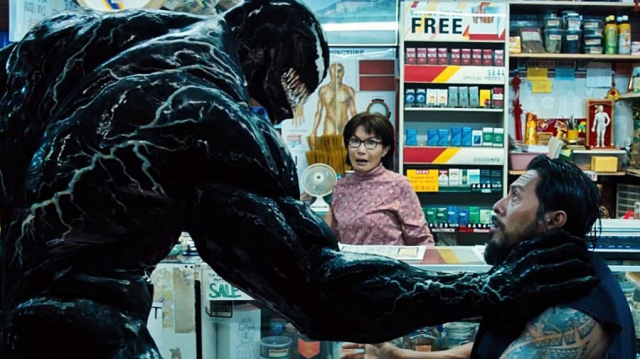 It was long rumored that Venom would be given the rated R treatment due to being darker in tone. Instead, the tone was obviously lightened with cheap jokes and it landed a PG-13 rating instead. 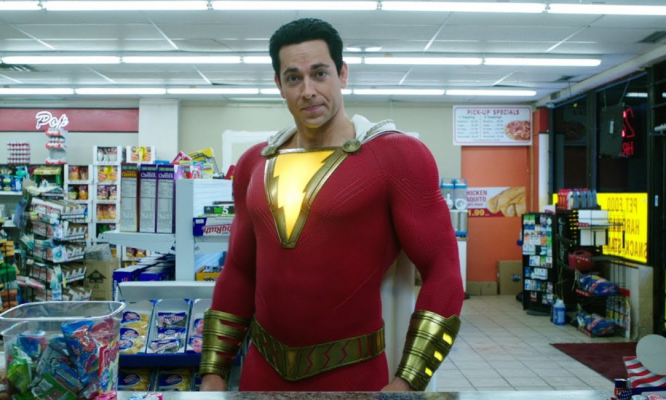 Someone should’ve let the effects team and cinematographer know since the film remains drab and dull looking with its bleak and joyless cityscape. 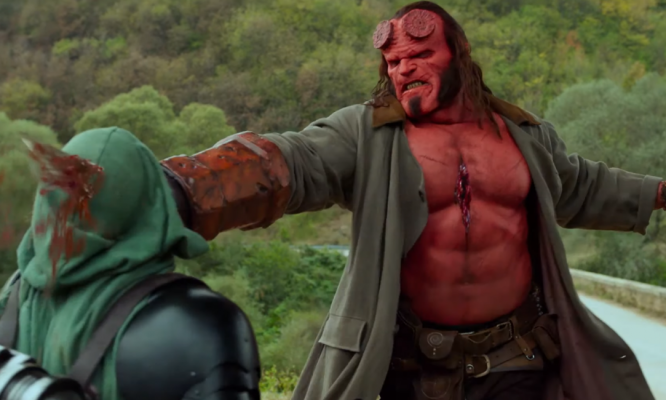 The fight scenes are atrocious as the camera always seems way too close to the action and, when the CGI kicks in, forget it. Have fun trying to figure out what’s going on as symbiotes fly all over the place like a room full of children having a pudding fight. It’s completely unappealing and will have you begging for an end. So, what happened here? Basically, it seems like Sony wanted so badly to make a Venom film but had no idea what to actually do with the character. The only interesting thing about it is how the symbiote talks to Eddie like Stem talks to Grey in Leigh Whannell’s Upgrade. The difference is that Upgrade was a great film and Venom is on par with The Predator for being one of the worst of the year. In terms of superhero films, it’s even worse than Suicide Squad. It’s unfathomable how Venom fails in every way possible. Even Tom Hardy isn’t likable and he has proven that he’s one of the best working actors today. Everything about Venom is a complete and utter misstep. 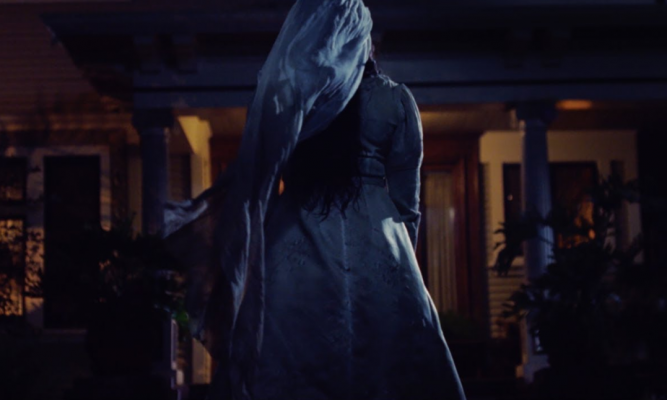 Even if you stick around for the post-credits sequence that actually teases giving fans what they’ve wanted, do people really want to see Venom 2? After this travesty, Sony should be begging Marvel to give them another piece of that MCU cash and hand them the rights to every superhero property they own.